Michael A. Walsh was born in West Point, New York, on July 19, 1955. He received a Bachelor of Science Degree in 1977 from the State University of New York at Brockport. In 1984, he received a J.D. from Widener University, Wilmington, Delaware. While in law school, he was a member of the Moot Court Honor Society, Managing Editor of the school's legal newspaper and a member of the law review. He began his legal career in 1986 as an Assistant State's Attorney for Macon County, Illinois. 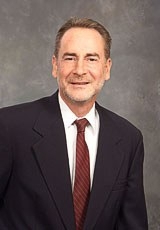 In 1989, he joined the law firm of Erickson, Davis and Murphy, Decatur, Illinois, and became a partner in 1992. His areas of concentration are: civil litigation, insurance defense, personal injury, criminal defense, including DUI and traffic, residential real estate transactions, and worker's compensation. He is a member of the Illinois and U.S. Central District of Illinois Bars. He is married with two (2) children.